For those Episcopalians who don’t pay close attention to General Convention and its doings, I’ll repeat again two key items that were passed there and that the church will be wrestling with in the coming years. Both prayer book and hymnal revision are in the cards and, given the reception of A Great Cloud of Witnesses (“made available” rather than being authorized), I think it’s safe to say that further Calendar revision will also be part of the package. Prayer book revision was not one of the resolutions that the SCLM sent to Convention. That resolution (as you can see from its high number) was drafted there in committee. The past chair of the SCLM, Dr. Ruth Meyers, dean at CDSP and professor of liturgy before that, is very much in favor of prayer book revision and, I believe, was one of those who spoke in favor of it in committee at General Convention. I think it is fair to say that hers has been one of the stronger voices in favor of revision sooner rather than later. Therefore, it is very significant that she is hosting a forum today at CDSP entitled “Imagining a New Prayer Book: A Forum with the Rev. Dr. Ruth Meyers.” For those who can’t make it to California today, the event will be streamed on the web. I don’t know what Ruth will talk about today, but my expectation is that she, as one of the key players who will be influencing the formation of the new prayer book, will lay out a vision for what items need to be changed and what items she believes must be addressed. I imagine that she will be offering an agenda for what we on the newly reformed SCLM will be considering this triennium as we seek to put together the plan to present to General Convention. I have worked with Dr. Meyers on the SCLM for the past three years; I have a great deal of respect for her. There are many areas in which we agree, but there are also a significant number of areas in the fields of liturgy and theology where we disagree. As a result, this forum is very much worth paying attention to. I won’t be able to tune in; I’ll be driving the girls to ballet and back during the appointed time. If it is archived, I certainly hope to provide some commentary on it at a later point. This entry was posted in Anglican, Liturgy and tagged Prayer Book Revision, SCLM on October 8, 2015 by Derek A. Olsen. Derek: Please have the Committee give deeper thought to the use of “Lord” in our prayers. It is a good word, properly understood, and should not be excluded from our vision of God in prayer. I can go deeper with this if you wish. Incidentally, I was the priest presenter of the current BCP to the Convention in 1976. My S.T.M. in Liturgical Theology and History was under the direction of Massey Shepherd. Derek, if I’m looking at the right thing – and I think I am – the video is available on the Livestream site. I had to sign up for a Livestream account first, though, in order to view it. I second Canon Minich’s plea. I cannot conceive of a more radical or fundamentally mistaken development than that of a prospective Prayer Book that does not affirm and proclaim Jesus as Lord. And yet such could be truthfully said about our various authorized liturgies of the past few years. I shouldn’t be surprised, I suppose; I’ve heard people suggest rewriting the Psalms, too…. I would say, “such could be truthfully said about our various … liturgies … *written in* the past few years.” It’s interesting to me how many of the SCLM’s recent efforts have *not* been “authorized” but have been “made available” or produced as limited trials. General Convention–let alone the larger body of the church–seems not to be as enamoured of what we produce as we are… Food for reflection, that! Rewriting the Psalms? No. No way. Not on my watch. 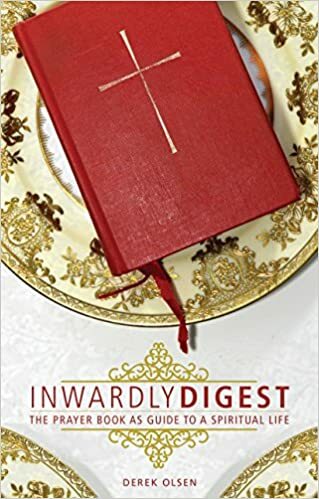 This talk of a new Prayer Book is rather intimidating – I became Episcopalian less than 3 years ago, and I’m still trying to follow the Rule of Life of what will become the old one! Is there any way to access the content of the forum if I missed the livestream? I’d like to engage with content more substantial that the comments sections of blogs and Episcopal Cafe posts. Comments are welcome – I’m told the viewers on the Livestream yesterday were already discussing it. I’m not suggesting we reform the Psalter, but your response to the very idea (“No. No way. Not on my watch.”) seems to indicate that you believe that there is no possibility that any future translation of the Psalms into English can be better than the one in the BCP currently. Is that how you feel? I’m not saying that a better translation could not ever be done in English. However, I think that it would be very difficult. Looking over the English-language psalters that I know, I do believe this is the best one currently out there for liturgical use. My central position is that we don’t need to fix that which is not broken. I would have to see a pretty compelling reason why our psalter is broken to go down this road. I should have mentioned that the suggestion I heard was to re-write the Psalms in “gender-neutral” language; this is the primary reason behind the movement to dispense with the word “Lord,” as well. I see I wasn’t clear about that above, but that is what I was thinking about. And nothing in the world makes me crazier than the misrepresentation of reality in the service of creating whitewashed, watered-down mush. It doesn’t help anybody, in any way, to pretend the truth is something other than it is – and I don’t see the point of the church at all if that’s the direction we’re headed in. I watched most of the video, I think; I skipped around a bit to try to avoid the group discussions and I might have missed a few minutes of the presentation itself. What I take away, generally, is that the stuff presented was aimed at a particular demographic: the “we don’t check our brains at the door” current population of the Episcopal Church (or the imaginary future population of the Episcopal Church, to be composed of this kind of person). I mean: who else gets so bent out of shape about the Creeds? Who else is so fixated on Communion Without Baptism? Who else worries more about “Green Issues” than about historic levels of economic inequality and the struggles of families and individuals in a shifting economy? Or the struggles of human beings against various personal problems, including addictions and family breakdown? To be honest, I’m kind of bored with this demographic at this point – and I’m mighty sick of talking about these issues, which to me are second- (if not third-) tier concerns, and almost completely self-referential. Why are we always talking to and about ourselves? The other thing I took away is related, I guess: the idea that the function of the liturgy (and by extension of the faith) is to “reflect” our own points of view, and that we should edit the Prayer Book accordingly. But what’s the point of the church at all, if that’s the case? Who needs it, and for what? Again, this seems more like talking to and about ourselves than anything else – so what’s the point? I can’t stand the church, generally, really; I attend because I think it has something to teach me that I don’t already know. Why bother otherwise? And let me just ask the question again: why are people constantly attempting to change the Prayer Book – when they can already have any kind of service they want, via “Rite III,” at any time other than the Principal Sunday service? That’s ONE damned service a week – and yet somehow “Prayer Book Revision” is Imperative Immediately. Did anybody ever hear of Wednesday night? Or Saturday night? Does anybody bother to actually experiment and see what’s effective? No. Does anybody ever look, either, at what’s happening in churches whose practices they aspire to? No. i.e., Non-creedal churches (i.e., Quakers and Unitarians) aren’t exactly bursting at the seams. i.e., the Methodists (whom people claim practice Communion Without Baptism); well, that church is dying faster than we are. So again: why are we always talking about these issues? It’s Episcopal fantasy-land….. The revision of the 1928 BCP actually started with a celebration of the 1549 BCP in 1949. It took many years and many revisions to arrive at the final product in 1976. There was opportunity for trial use and much feed back. Can we expect anything similar to this in the future? I doubt it. Now it is one committee dictating what comes next. This bodes ill for the future of the isolated, often arrogant TEC. A look at the accepted liturgies of the ACNA suggests that many will find these Services consistent with Anglican Liturgical tradition and practice when revisions based on momentary interests are allowed to rule the day. As far as making the Psalter gender-neutral is concerned, if such a project is wanted, it’s already been superbly done by the Order of St. Helena, for their St. Helena Breviary. It’s also published separately at the St. Helena Psalter. Far from just sitting down and mechanically changing certain phrases to gender-neutral ones, they made thoughtful revisions and (this is key) prayed the revised psalms for years before publishing them. Their excellent edition was honed in their work of daily prayer. I admit I’ve never seen the St. Helena Psalter. I HAVE however experienced membership at a parish that rewrote everything to be gender-neutral and politically acceptable to them. They even rewrote the words to the anthems they sang; imagine that! Nobody had any way of knowing what had actually been written or said – so nothing made any coherent sense. The liturgies were awful: banal and unpoetic. I can’t remember a single word of any of them. I had no idea there was anything else, until by chance I attended a Rite I am service at a nearby parish. I ended up leaving the first place e for the second. In any case: I would suggest that the Episcopal Church is not the environment for even a good rewriting of the Psalms, since Biblical literacy isn’t exactly our forte. And to be honest, I don’t see why women are considered so fragile and unimaginative that we can’t make the mental adjustment required: that the Scriptures were written in a different time and place and that we can take this fact into account. I find that this mental process is actually quite fruitful, both spiritually and intellectually. And I find whitewashing to be deadening. Initially, the idea of revising the BCP makes me shudder. There are still so many people who don’t have a good grasp of what is in the current BCP. What a gem it is, and so much within it’s covers. It took decades for some people to allow the 1928 BCP to rest. Indeed, one church in my diocese only started using the 1979 BCP when the bishop ordered them to in the mid-90’s. I realize that since it is a book of “Common” prayer, it should be updated occasionally, to keep up with the current language and culture, but have we really evolved so far since 1979? Is it so out of date that people don’t understand what is being said? The hymnal, on the other hand, I can see revising. I sing in a choir and have resented how many hymns that use to have harmony in the 1940 hymnal, now have only unison. And music is so rich and evolving, it seems more obvious a choice for a revision. But you can always dig out an old song or hymn. We chant psalms using the Coverdale Parish Psalter and use the 1662 service for Evensong. Regarding Canon Henry Minich’s remarks concerning trial use and feedback, I agree we’re not likely to see that process repeated — at least not at such great length. From the issuance of “The Liturgy of the Lord’s Supper” in 1967 to the approval of the 1979 Prayer Book, we had a period of twelve years and four different books to wander through like the Israelites in the wilderness. All in all, a bit too much “trial use” for my taste. I’m rather amazed that we’ve come to a point where people think it’s normal to just rewrite ancient texts they don’t happen to like. This seems awfully arrogant, to me. In the end, it’s going to be like seeing the same badly-made and highly anachronistic movie over and over again – and then trying to live one’s life on the basis of whatever “moral” can be drawn from the fantasy. Perhaps it’s time to look into the Old Catholic Church. Or to start something new, even; a confederation of local house churches that use the BCP (which is in the public domain)? Local monastic or semi-monastic communities? (Perhaps the problem, at base, is that we’re now all operating by the modern rule of “Biblical literalism”? It does seem – and I think there are actual studies that show this – that people believe that “if it’s in print, it must be true”? Barbara S., I sympathize with your frustration at sloppy translations or thoughtless changes. But I don’t think all gender-neutral language is inherently good or bad. For me, shifting to gender-neutral language is as much about accuracy as it is about inclusiveness. If Paul meant “brothers and sisters” instead of just “brothers,” a good translator should say so. Likewise with the word “LORD” you bring up. This is actually an example of early translators taking a non-gendered word from the ancient texts, and making it gendered. Finding a non-gendered alternative would bring our translations closer to what the original authors meant. Actually, I agree with some of what you say, Adam. I’m not sure how “non-gendered” the word “LORD” is – “LORD” as in YHWH – but I was primarily referring to the word “Lord” as in “Lord Jesus.” This, too, was changed at my old parish – and not only that reference. The priest also changed “Blessed is He that comes in the name of the Lord” to “Blessed is the one that comes in the name of the Lord” in the Eucharistic prayers. As far as I can tell, though: that reference is to Christ, although it refers back to a Psalm and YHWH. Of course, Jesus actually DID pray to his Father, which was another unmentionable – and which I’ve heard many others say they find to be problematic. I don’t find it so at all – and that’s a matter of accuracy, too. I’m not opposed to reasonable changes; I’m not at all opposed to, say, quoting from Julian of Norwich in a BCP prayer. I agree with you that God is not a boy and that that’s a more accurate view (which we can all come to on our own anyway!). But many of the changes people want to make are just wrong. in my view – and I believe that rewriting Scripture is problematic for many reasons. (I should add that I was thinking of the Greek word for the Holy Spirit, used in the NT. I don’t know what happens in the Hebrew of the OT; I believe Hebrew doesn’t have a neuter pronoun like the one used in the Greek. And I do know that there are female “aspects” of God in the OT; Wisdom, for instance. It is the Biblical literalism, I think, that leads people to believe that working on a new translation is the same as rewriting “ancient texts they don’t happen to like.” All of our scriptures arrived (even the old ones!) through the hands of human beings, all of whom wrote within a certain cultural context. Different translators may take this into consideration in different ways, as Adam noted. God is bigger than male or female (themselves just human-made constructs) and inclusive language is an example of our expanding idea of God. We will never fully describe God with words, but there’s no reason to limit ourselves to (for example) male language just because early Christian writers did so. As I mentioned earlier, Lord, while used to describe a male role is a title denoting responsibility and caring for those under his rule. The female counterpart is, of course, Lady. Some of us have referred to the Lord Jesus’s mother as Our Lady for some time. I fail to see why gender neutral substitutes are of urgent necessity. This is best left alone. I realize that LORD, in the Psalms did not originally refer to the Second Person of the Trinity. It seems to me that such an understanding is not too far a reach for Christians. I recommend caution in the revision of this good word. Royce: even the Constitution doesn’t get rewritten. It gets “amended.” As a result, it’s a clear map of history; we can see exactly what has happened to the country over the course of the last 300 years. That’s a good thing; I don’t want a pretend Constitution OR a pretend Bible (or a pretend history of translation, either). BTW, “our expanding ideas about God” have been around since at least the 14th Century and Julian of Norwich, and I would bet earlier. So I don’t really think we ought to be patting ourselves on the back quite so much. As far as “Lord”: I think this is really kind of a huge mountain out of a tiny molehill, since “Lord” has very little connotation of any kind to Americans in any case (except those who watch “Downton Abbey,” I suppose). Why are we always so fixated on things that don’t matter very much to most people? Does the mandate also cover lectionary revision? I led a Bible study tonight where everyone was shocked to learn of St Anna the Prophetess. The other RCL churches include her every third Christmas, but Episcopalians only hear Luke 2:22-40 on the Presentation and at EP on the first Sunday after Christmas in Year Two. The lectionaries may be on the table, but any revisions of the Mass lectionary would be tricky specifically because of the RCL. Any alterations there would have to be wrestled with in direct relation to tje whole Consultation on Common Texts. I wouldn’t mind some more attention to the Office lectionary, but the consistent trend is that successive revisions read less and less of the biblical text. My fear is that any discussion would head in that direction fairly quickly. The ’79 Psalter is a paraphrase, and not a very good one at that. The very first verse is wrong, and it goes downhill from there: “Happy are they…” Where did that come from? The psalm says in Hebrew, and in the Septuagint, and in Vetus Latina sources, and in the Vulgate, “Happy is the man…” Actually, it says that everywhere except in the ’79 PB. This re-working of the text obscures any possible original meaning, and it sweeps away all Christian discussions of the psalm (and the Bible and the liturgy) from the last 1800 years—that being the main purpose of all liturgical reform in my lifetime, Catholic, Anglican, and otherwise, though that’s a different topic. In the usual context of discussing Ps 1, the question “Who is that man?” is significant. One obvious interpretation is that he is Christ, although that was not the only meaning you find in ancient sources. But the point to bear in mind in the context of the PB Psalter, and of translation in general, is pretty obvious: changing the text… well, it changes the text. Readers won’t have the same understanding of what they’re reading, certainly, but they won’t have the same questions about it, either. They will consider and “meditate upon” something kind of unrelated to what was actually written. What’s the point of that sort of paraphrase? I understand wanting to read all manner of interpretations, but doesn’t somebody want the original? Do we only get ‘West Side Story’ when we ask for Shakespeare? Do we only get ‘Jaws’ when we ask for Ibsen? I’m tempted to over-generalize and conclude that this is yet another result of the Protestant tendency to have each Christian place him- or herself into the text. Thus I am supposed to be that happy person in Psalm 1, doing all those things that no one I’ve ever known could actually do. But I’m more concerned about the general tendency to re-imaginize the psalms—and so much of the office and mass—as liturgical entertainment, not as theological writings or even as historical documents. I’d like to make an observation about the Prayer Book and the whole concept of ‘revision’, and one possible reason among many as to why the Episcopal Church USA is such a mess. Many, many years ago, a really old Episcopalian I knew said that back in the day, when Episcopalians were accused of having no unified theology, the usual reply was to “find it in the Prayer Book”. Read the liturgy, he’d say, and you will see all the theology of the church: baptism and the Eucharist, salvation, atonement, and on and on. It isn’t presented in a nice and neat outline like a dogmatic statement from Rome; but it is as clear as it needs to be. An excellent example is pretty much my favorite line from the PB, a phenomenal summary of the Reformed Catholic interpretation of the Eucharist: “grant that we receiving these thy creatures of bread and wine, according to thy Son our Saviour Jesus Christ’s holy institution, in remembrance of his death and passion, may be partakers of his most blessed Body and Blood.” RCs would find this evasive, but it think it summarizes quite well the Anglican understanding of the “True Presence”, or whatever term you want to use. There’s no attempt here to define God’s actions; there’s just a statement that hews fairly closely to the basics of the traditional observance and the scriptural sources. It’s bread and it’s wine, and yet we partake of Christ’s body and blood—we’ll say no more. This sort of theology is found throughout the book. Thus, a parish could be all smells and bells or snake-belly low—and the parishioners might personally have a wide range of ideas about their faith—but the theological underpinning was sure. So Benediction was fine if it was a spiritual comfort; but that’s all it could ever be. The Eucharist as mere commemoration was fine if that helped a person understand it; but it was always more than that. In that light, I think the C of E was, as usual, wiser than all those around her, when she decided against revising the PB, and opted instead for temporary service books. The theology is untouched, so no matter how much a given service might be abused, it would be the doing of some little group of nuts, and not a statement on behalf of all the faithful. Meanwhile, temporary liturgies that were found, over time, to be consistent with the PB and useful to parish life could be extended for use, possibly indefinitely. Ideally, after about 100 years, the best of these liturgies that have proven sound after many renewals could be *added* to the PB. This is how liturgy worked in the old days anyway—a monastery or cathedral would work out changes in the lived environment of their community, and the practices would become normative only after being gradually proven and approved by a large number of people over a span of time and a wide geographical area. That’s not what happened in the ’60s and ’70s, and it most assuredly won’t happen now. If I could control that PB committee, my revision would be to bring back 1928 and authorize alternative services. But since that won’t happen, I fear, oh how I fear, what is yet to come. John’s point about “long-term test usage” of liturgies relates, for me, to two key ideas. First: it’s natural that each generation will add something to the church’s continuing life. Times DO change and new ways of seeing DO develop. That’s a far cry from rewriting everything, though; we could really stand a dose of humility here. We’re one passing generation, that’s all – and not even a very self-aware one at that, as far as I can tell. I think it’s time we learned to simply stand in the line of history without being triumphalist: to offer something, without attempting to obliterate most of what came before us. That’s the general tendency all around us, anyway – and to me, one of the great things about the church is that it’s still deeply in touch with the past when most of the rest of society just isn’t, at all. Second: the reason for a general “stability” in the liturgy is, to me at least, obvious. Human beings are above all completely self-absorbed (and completely self-deceived about this, as well as about most other things! ); it takes an awful lot of work and self-reprogramming to get us away from our instinct to “curvatus in se.” That’s what the church is actually for, as far as I can tell – and that is just what is being ignored at the present moment. The church is now proclaimed to be all about “mission” – i.e., fixing other people. We no longer believe, it seems, in faith as the way of salvation – the rescue – of the human mind, heart, and soul. To me there’s a certain grandiosity at the heart of both of the above issues – and personally, I’d say that grandiosity is something we ought to work to get away from. Anyway, if the church isn’t about fixing broken human beings – or if we no longer see ourselves as broken and in need of saving – what’s the point of it? We can do “mission” through a thousand secular organizations these days. As Derek points out, “worship” is the central focus of the church – but not because God needs our worship. We need to worship God in order to be made aware of and caught up into, and made new by, God’s greater reality. Those interested in Prayer Book Revision, might want to check out my blog on this topic.